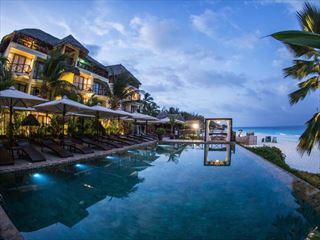 Situated on the picturesque white-sand coast of Zanzibar, the Bluebay Beach Resort & Spa is a tranquil property. 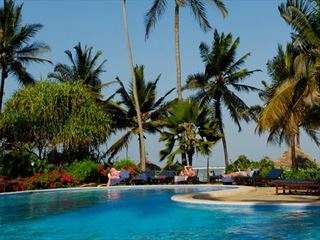 Set amongst 30 acres of palm-studded tropical gardens, you’ll feel as though you’ve stepped into paradise. There are plenty of opportunities for relaxing and taking in the spectacular views here – we love that the rooms here overlook the surrounding landscape. If you want to get out and explore, the staff here can help you to arrange great excursions. Indulging is easy with the addition of a rejuvenating spa that blends seamlessly into the tropical surrounds. 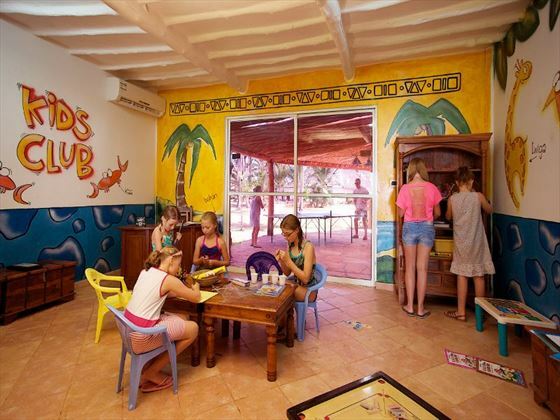 Younger guests are kept entertained with a fantastic kids club, where they can enjoy games, activities and even introductory Swahili language lessons. 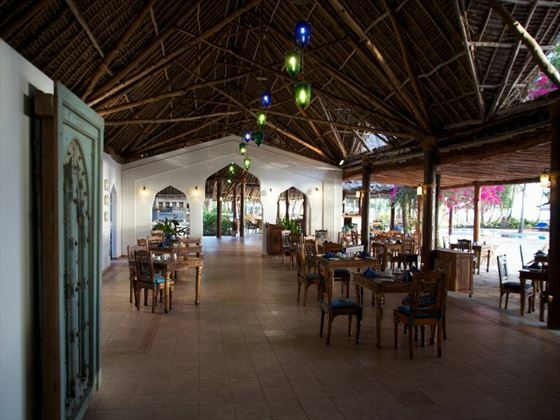 There’s the option of four restaurants and bars too, each serving a great selection of delectable dishes and refreshing beverages to whet your appetite with. Top tip: The watersports centre makes taking advantage of the beautiful warm waters incredibly easy – great for families and active guests. 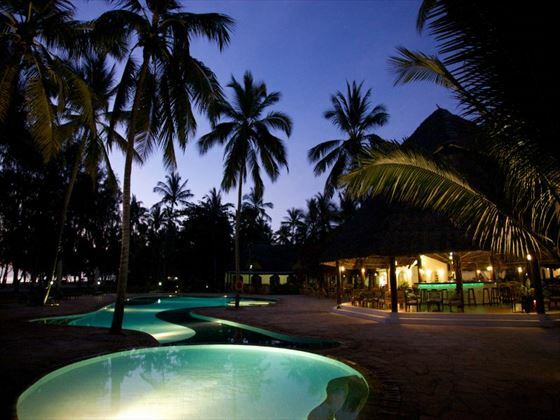 This charming property is nestled on the sugary white sands of Kiwengwa Beach in Zanzibar. 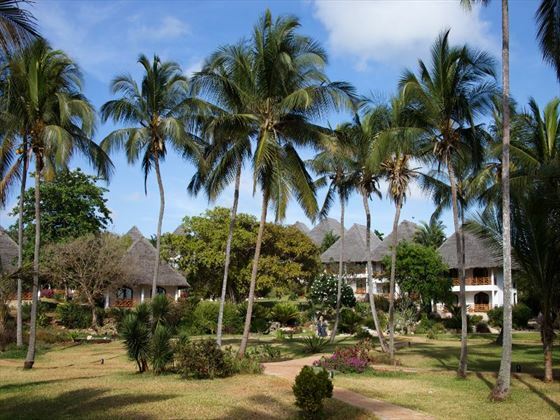 Just 3km from the Kiwengwa Caves and framed by hundreds of palm trees, this resort feels like a secluded island paradise. 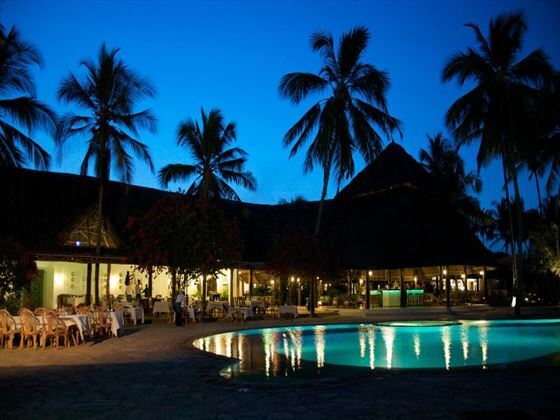 The resort offers 122 rooms. 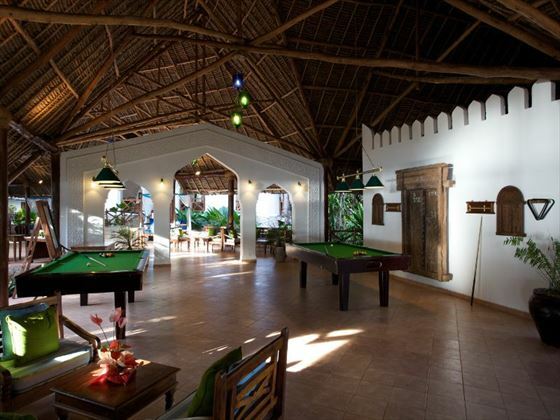 Garden Room – Set in the tropical gardens, featuring 2 four-poster beds, separate dressing room and two en-suite bathrooms, in addition to the above amenities. 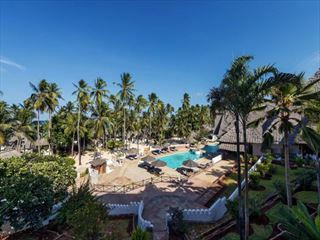 Junior Suite – Made up of three bungalows each, with two suites in a private area, these suites offer sea views, spacious rooms, lounge area and a vast veranda. There is also a private outdoor shower, in addition to the above amenities. 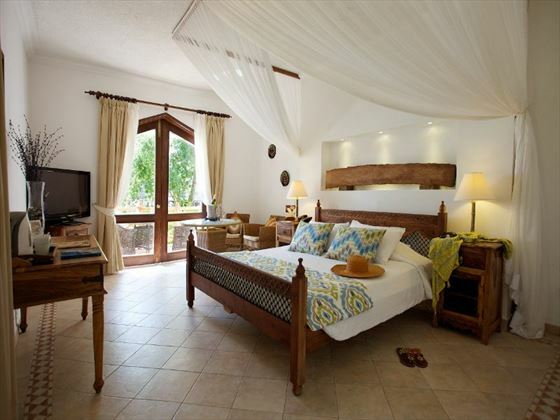 Superior Suite – Cottages situated on a risen area overlooking the gardens, pool and beach. 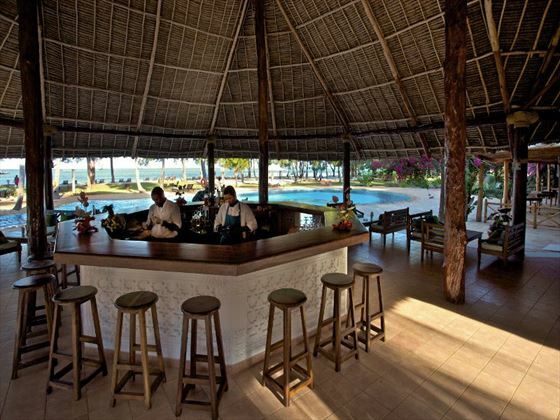 All rooms offer sea views and feature 2 four-poster beds and a separate dressing area, in addition to the above amenities. Sultan Suite – Spacious suites offering a large four-poster bed, walk-in dressing room, spacious veranda and a butler service. Oman Air flights are available from Heathrow. Regional connecting flights are also available. Air fares vary considerably so a variety of airlines may be included in your quote to ensure you are presented with the best available price. If you would prefer to fly from a different airport or with a different airline, our Travel Consultants will be happy to adjust this at the time of enquiry and a supplement may apply. 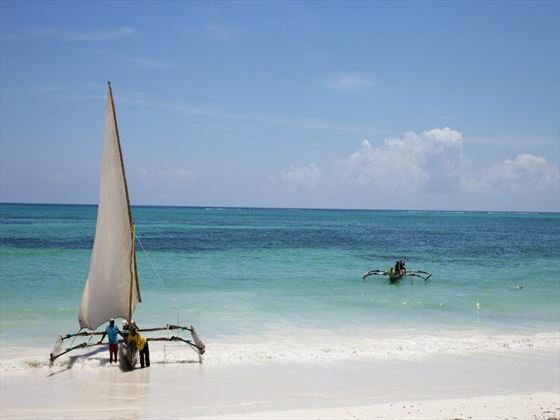 Alternative airlines with flights to Zanzibar include Kenya Airways (economy class only), KLM, Qatar Airways and Ethiopian Airlines.